Extra pack of Soundcloud plays! Boost your profile like never before. Great value pack: 200k plays. Spread your music around Soundcloud and meet your next big fans. More Soundcloud plays will make your tracks more likely to be noticed and clicked on. Following suit is usually climbing the charts, getting reposted and gaining downloads. Buy 200,000 Soundcloud plays today and promote your Soundcloud profile organically. 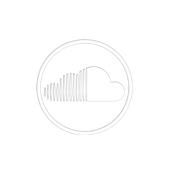 Hey, this is just one of our many Soundcloud plays packages, sized to accomodate every user's need. Check all of them here, or lose yourself in a vast collection of Soundcloud promo packages in our professional music promotion portfolio.